Links to some of my recent articles, including about the ‘blasphemy law’ and secularism in Pakistan. A brief update from me: I recently showed the film on DSF (Democratic Students Federation) that Sharjil and I made to a rapt audience in Islamabad at Kuch Khaas, the wonderful space set up by my old friend Poppy (Shayan Afzal Khan) – they hold film screenings, seminars, book launches; hold classes in dance, music etc (with a percentage of the admissions being reserved for underprivileged children who attend on scholarships). 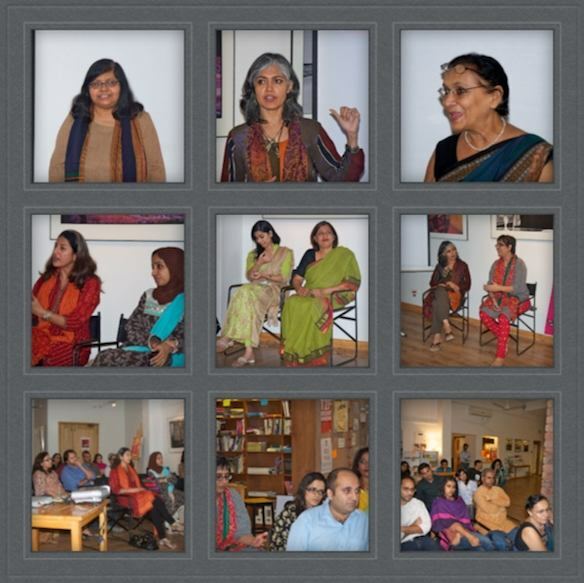 My Mukhtiar Mai film was part of a couple of events held to commemorate 16 Days of Activism against Gender Violence. It was screened at the `No Honour in Killing‘ exhibition curated by Niilofur Farrukh now in Karachi at V.M. Art Gallery till Dec 20th (has been to other cities including Larkana and Jamshoro). It was also part of the Take Back the Tech event linked to 16 Days, at a discussion (Newsline report here) held at The Second Floor in Karachi. Also see the other articles in that series, compiled at this link.